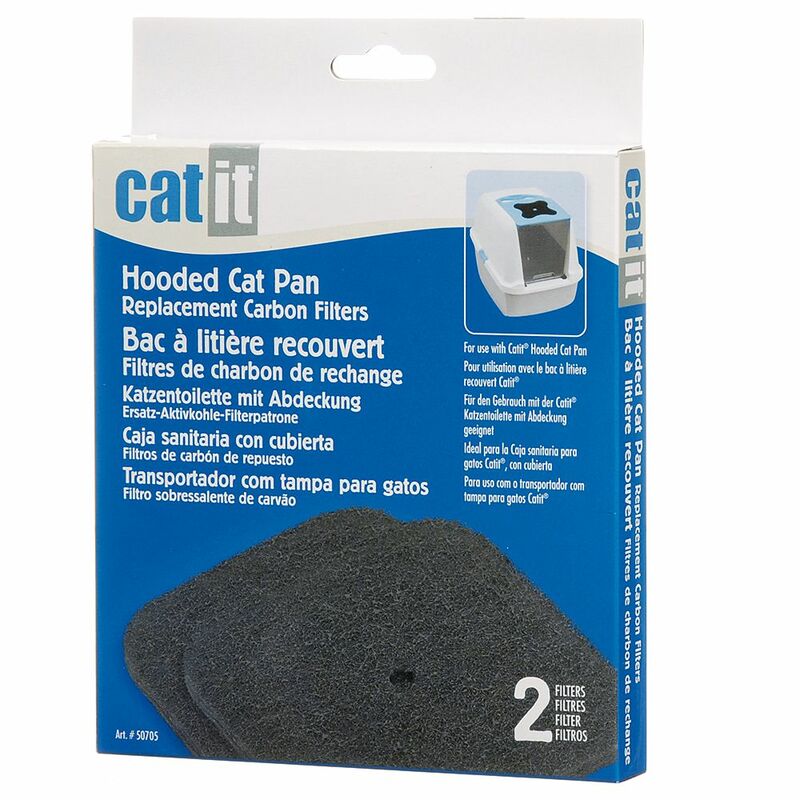 The Catit litter box is a must for every feline household! The extraordinary, modern tiger pattern makes this litter box into a real highlight in any home. The litter box can be opened using a swing door on the top for fast, effortleΒ cleaning of the inside. It also has a bag anchor to secure your waste bag and give you a hand free while scooping out the litter, preventing meΒ from falling on the floor. An active carbon filter is included in the delivery and fits into the lid to prevent nasty odours. The filter should be regularly replaced to keep those nasty odours at bay. The extra tall base tray ensures meΒ falls out over the sides. Fitting the tray and lid together is made incredibly easy with two sliding latches. A handy handle is integrated into the lid. Catit Litter Box - White Tiger at a glance: Colour: white with Tiger pattern a zooplus exclusive Closing lid Integrated handle in lid Transparent swing door Handy bag anchor 1 active carbon filter included in delivery Size: Total: 57 x 39 x 46.5 cm (L x W x H) Doorway with swing door: 24. 5 x 26.5 cm Tall base tray: front apprx. 17 cm, back apprx. 28 cm Entrance height: 17 cm.